2016 was a busy year for Courtroom View Network! As the only news organization in the country exclusively focused on filming high-stakes civil trials, CVN covered everything from bellwether product liability trials, to medical malpractice, to slip-and-falls, and along the way filmed some of the nation’s top trial attorneys in action. To close out the year, here are our picks for the Top 10 most impressive defense verdicts of 2016. These aren’t ranked solely by the potential amount of damages. We also took into consideration the facts of the case, the parties and attorneys involved, and the potential broader impact of the verdict. Remember you can get access to high-quality, gavel-to-gavel video of all of these trials and many more in CVN’s one-of-a-kind trial video archive by becoming a subscriber for as low as $99/month. 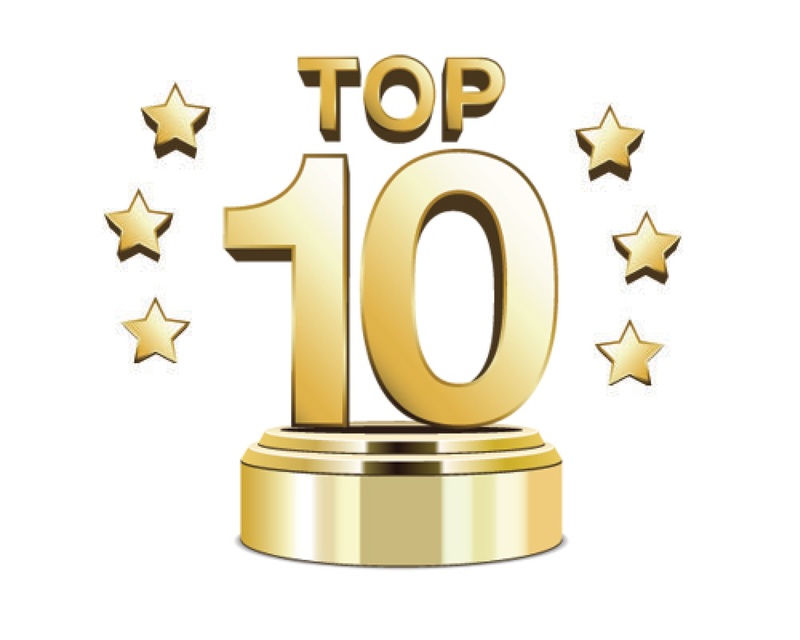 Make sure to also check out CVN's Top 10 Plaintiff Verdicts of 2016! Topping our list for CVN’s most impressive defense verdict of 2016 is a trial that for the first time asked jurors to simultaneously consider claims against two pelvic mesh manufacturers. The trial began in late 2015 but stretched all the way into February of 2016, when a Missouri state court jury cleared Boston Scientific Corp. and C.R. Bard Inc. in a lawsuit where the plaintiff sought up to $28 million in damages. The jury deliberated for less than two days before deciding 10-2 that Boston Scientific’s Solyx and Bard’s Align implants did not cause plaintiff Eve Sherrer’s chronic pain. Sherrer’s attorneys argued the implants used a type of polypropylene mesh that was too stiff for use in human tissue, but the defendants successfully convinced jurors that Sherrer's pain could be the result of arthritis in her hip and other medical conditions. Since then no additional mesh trials have taken place in state court. Given the small number of trials compared to mesh cases filed any jury verdict is significant, but the added complexity of two mesh devices manufactured by different companies implanted in the same plaintiff lands this trial in our number 1 spot. With two jury wins under its belt related to claims dealing with exposure to long-lasting carcinogens called polychlorinated biphenyls, or PCB’s, Monsanto had a lot riding on a third trial that took place this past spring in California state court. Besides the $15 million plus unspecified punitive damages sought in this one case, a plaintiff winning on claims related to chemicals possibly found in the food chain throughout the United States could expose Monsanto to a slew of additional lawsuits. Roslyn Dauber, 62, and John Di Costanzo, 87, both claimed their non-Hodgkin's lymphoma was the result of eating food contaminated by PCBs for years. Before being banned in the 1970’s, PCBs were used for a wide range of industrial purposes, from fire insulation to food packaging, and the resilient chemicals can still be found in many parts of the food chain today. Dauber and Di Costanzo accused Monsanto, which manufactured the vast majority of PCBs found in the United States, of continuing to produce the compounds for decades while withholding their health risks from the public by only publicizing the results of short-term exposure tests. Monsanto argued that while PCBs are known to be carcinogenic, they have not been linked to the development of non-Hodgkin’s lymphoma in humans. They argued that actions taken by the company as far back as the 1930’s must be considered in a different light than the more stringent environmental standards in place today. Another California jury returned a similar defense verdict the following month after a rematch involving mostly the same attorneys, but this win by one of the largest chemical companies in world comes in as our number 2 pick. In 2010 after prosecutors accused Johnson & Johnson subsidiary Synthes of injecting bone cement into the spines of patients who suffered serious side effects, four company executives pleaded guilty to charges of conducting illegal clinical trials of the bone cement on humans. However in 2016, when the family of a woman who died after having the cement injected accused a top surgeon of knowingly participating in an unauthorized “test market” for the compound, a Washington state jury cleared him of all liability. The 12-member jury deliberated for more than three days - at one point telling the judge they were nearly deadlocked - before deciding 10-2 that 67-year-old Reba Golden’s death in 2007 wasn’t caused by any negligence on the part of her surgeon, Dr. Jens Chapman, or UW’s Harborview Medical Center. Golden’s attorneys claimed Chapman injected Synthes’ Norian bone cement into her spine despite the FDA not approving it for that use, and that he failed to warn Golden of the cement’s potential to cause fatal bleeding and blood clots. Golden’s family sought $6 million and asked that five percent responsibility be assigned to Synthes. Synthes was a defendant in the case when the trial began, but they reached a confidential settlement with the plaintiffs shortly before attorneys delivered their closing arguments after a trial that spanned most of the summer. Other similar lawsuits against Synthes have been settled before trial, and this case marked the first time claims related to the use of Norian cement in spinal surgery went before a jury, thus making it our number 3 choice for most impressive defense verdict of 2016. According to the Palm Beach Post, a trial seeking $25 million for the drowning death of famed underwater photographer Wesley Skiles “was closely watched by underwater explorers throughout the world.” A defense win in the case, scored against some of the most accomplished plaintiff attorneys in Florida, makes this our number 4 pick. Skiles, a diver and cinematographer with more than 7,000 dives and 100 films to his credit, died during a dive off Boynton Beach, Florida in July 2010 while filming a documentary for National Geographic. His widow, Terri Skiles, claims her husband drowned when oxygen sensors and electronics on the Dive Rite "O2ptima" brand rebreather failed. But jurors took less than five hours to find the rebreather was not defective and to clear Dive Rite on negligence, product liability, and failure-to-warn claims. Opposing sides debated during the 10-day trial whether a defective rebreather or diver error caused Skiles’ death. Skiles’ attorneys claimed the O2ptima sensors were defectively designed and subject to malfunction when covered with water. Electroconvulsive therapy is still used today to treat severe forms of depression, but if asked most jurors probably associate the procedure with now shuttered state mental hospitals or Jack Nicholson in One Flew Over The Cuckoo’s Nest. Electroshock therapy that another doctor claims left him with permanent brain damage is the type of claim that could open the door for a large award, which is why a defense win in this Florida trial comes in as our number 5 pick. In November a Palm Beach County Circuit Court jury took about 4 hours to conclude Dr. Praturi Sharma did not act negligently in either obtaining consent or administering electroshock treatments to Dr. Shaul Dadi in 2010, while Dadi was hospitalized for depression. Dadi sought up to $75 million. But the defense contended Dadi provided informed consent to the treatment, which was recommended to stem his alleged suicide risk. The defense also questioned the link between the ECT and Dadi’s claimed brain damage. If you’re above a certain age you’ve likely never heard of Steve Aoki, but he’s one of the most popular “electronic dance music” DJ’s performing today, and he’s known for his wild concert stunts. One of his signature moves involves leaping from the stage into an inflatable raft in the crowd, but when Aoki jumped into a crowd in 2012 he left a concertgoer with a broken neck. Brittany Hickman sued Aoki and Hard Rock over the incident, and while she reached a settlement with Aoki her claims against Hard Rock went to trial in August in California. The jury returned a 10-2 verdict in favor of Hard Rock after a half-day of deliberations following a two-week trial. Hickman’s attorneys claimed Hard Rock should have known Aoki would leap into the crowd and should have taken steps to protect the audience. The hotel’s legal team argued Hard Rock had no warning Aoki would perform the risky stunt, and that Hickman’s injuries weren’t as severe as she alleged. Hickman, who was in her mid-20’s when the 2012 accident occurred, became trapped under an inflatable raft that Aoki jumped into after climbing onto the scaffolding above the Hard Rock stage. Her attorneys presented multiple expert witnesses who testified that the impact left her with a traumatic brain injury requiring a lifetime of costly medical care, but during his closing argument on behalf of the hotel Ernest Weiss of Klinedinst PC dismissed those experts as hired guns brought in to secure a large verdict. Hard Rock’s attorneys faced off against a well-established California personal injury firm that devoted substantial resources to the trial, but their defense win earns the case the number 6 slot on our list for 2016. Besides covering trials that make national headlines, CVN also focuses on so-called “everyday” trials in widely recurring practice areas that have the potential for significant verdicts. This defense win in a potentially $12 million vehicular negligence case, scored by one of the top defense firms in Florida, comes in as our number 7 pick for 2016. In August a unanimous panel of six jurors deliberated for just under two hours following a weeklong trial before sinking plaintiff Thomas Truong’s allegations against Waste Services of Florida Inc. and truck driver William Bocker. Truong’s attorneys accused Bocker of driving at an unsafe speed and failing to check his mirrors when he collided with Truong on Orlando’s John Young Parkway in 2012. However the company maintained that Truong caused the accident by trying to speed past the truck to cross an intersection despite Bocker activating his turn signal. Despite a Florida jury awarding $6.4 million in compensatory damages in this bifurcated “Engle progeny” tobacco trial, it made our list of most impressive defense verdicts after a team from Jones Day convinced those same jurors that said R.J. Reynolds should be liable for punitive damages not to award a penny. Most juries that don’t feel punitive damages are appropriate simply don’t allow a case to proceed to a punitive phase, so the arguments presented during the second phase of this trial by the defense clearly made the panel essentially pull a U-turn. During his closings, John Walker successfully argued sweeping changes in the tobacco industry and Reynolds' internal changes warranted a rejection of punitive damages. Walker highlighted regulatory and industry overhauls, including federal oversight of cigarette manufacture and a sweeping Master Settlement Agreement with states' attorneys general that funded anti-smoking initiatives and restricted tobacco marketing. Walker also told jurors the industry-funded agencies and programs designed to hide the dangers of smoking were swept away, along with company leadership that had engaged in the scheme. "R.J. Reynolds Tobacco Company of 2016 is going to be writing the check that you award," Walker said. "Is there anyone there that did any of these things that deserve punishment? No." This Texas case hinged on two issues: whether a nursing home’s negligence caused a mentally ill women to develop bedsores and whether or not a hospital should have honored a do-not-resuscitate order she signed by refusing to place her on a ventilator. Each of the four defendants in the case retained separate counsel, and the trial took two weeks to complete as jurors sat through a total of 10 opening and closing statements and multiple lengthy cross-examinations in a case worth potentially $10 million. The jury clearing all four defendants of liability is what earns the case a spot on our list of most impressive defense wins. The jury rejected allegations from the adult children of Diane Rimert that she developed bedsores due to supposedly negligent treatment received at the Pennsylvania Rehabilitation LP nursing home in Fort Worth, or that Texas Health Harris Methodist Hospital should have made greater efforts to prolong her life. Rimert, who suffered from bipolar disorder with psychosis, died in 2012 at the age of 67 after developing pneumonia that her attorneys claim was caused by an immune system compromised by her bedsores. Rimert’s attorneys claimed proper physical therapy could have prevented the bedsores in the nursing home, and that the hospital wasn’t obligated to honor the DNR order if it had doubts about her mental competency. However attorneys for Pennsylvania Rehab, the hospital and Rimert’s caregivers argued that her bedsores could not be prevented even with proper treatment, and that her DNR order was legally binding. When you think of LeClairRyan, a Virginia-based white shoe firm boasting 390 attorneys across 25 offices, you generally wouldn’t consider them the underdog in a multimillion commercial lawsuit. However when the firm took on the largest law firm in the world, Dentons, as they represented one of the wealthiest women in Europe, it’s fair to say they faced an uphill battle heading into a jury trial last December in a special court in Boston designated to hear complex business disputes. A jury in that court rejected a lawsuit filed by the heiress to part of the Novartis pharmaceuticals fortune, who claimed that she lost $5 million after MIT’s former chief intellectual property official and his business partner duped her into investing in a failed energy startup. Corinna von Schonau, granddaughter of the founder of the drug company Geigy that later became Novartis, accused former MIT administrator John Preston and attorney Michael Sydow of convincing her to invest in the now bankrupt Texas Syngas, an energy startup that hoped to convert coal into clean natural gas. Von Schonau claims that Preston, a Syngas board member and Sydow, the company’s chief executive, failed to disclose that Syngas’s key technology was based on that of another bankrupt company. Von Schonau maintained that she never would have made the $5 million investment if she knew about the bankruptcy and the involvement of Syngas founder Michael Collins, who allegedly lied about his credentials as an engineer, or that Preston had been previously sued in securities case. However attorneys for Preston and Sydow successfully argued that they made no misrepresentations to von Schonau and were themselves mislead by Collins. The trial ended up being a clash between two large, white-shoe law firms in a relatively rare setting - a state court jury trial - and the win by LeClairRyan closes out our list of top 10 most impressive defense verdicts of 2016.